Of up to 97%. No deposits of fat on furniture or kitchen utensils. The berbel principle does not use disruptive, performance-reducing fat filters that can clog up over time. In this way, a berbel hood achieves a consistently high degree of fat separation for years and years. This keeps your kitchen air clean - for a long time. Powerful and quiet vapour extraction - there's no contradiction at berbel! 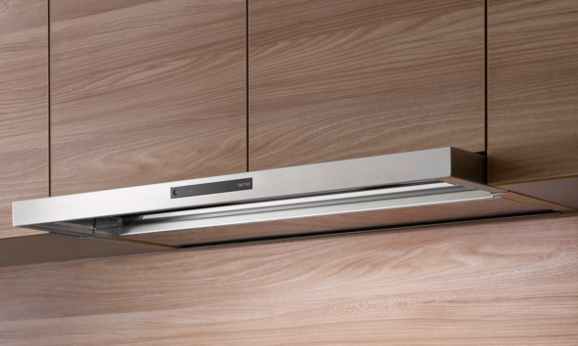 With no flow resistances caused by metal filters, our extractor hoods work with small - and therefore energy-saving - quiet EC fan motors. 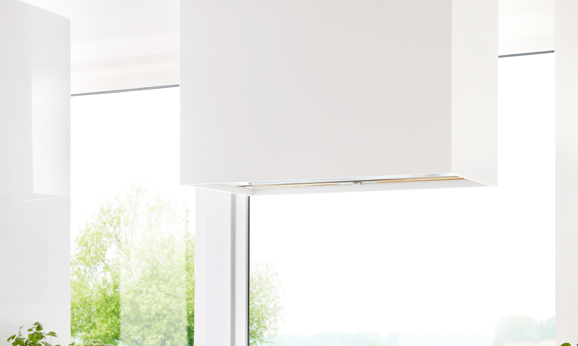 The fan in a berbel hood does not need to fight against increasing resistances caused by clogged fat filters. And even after a lot of cooking, with a berbel hood, you will still enjoy a high level of smooth running. 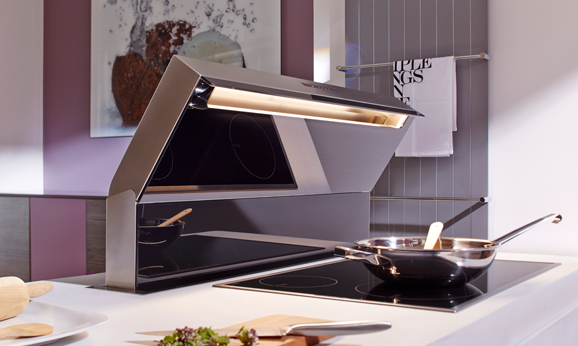 This allows you to talk quietly with your guests or enjoy watching TV whilst cooking at the same time. Swing it out, wipe it, and it's clean! The collection tray, which is made from high-quality stainless steel, is really easy to clean and can be removed completely if needed. Our tip: As well as cleaning the hob, wipe down the hood soon after cooking, too. This makes things even easier, since the collected fat is still easily soluble. However, if you want, you can wait until you've cooked a few times, instead. 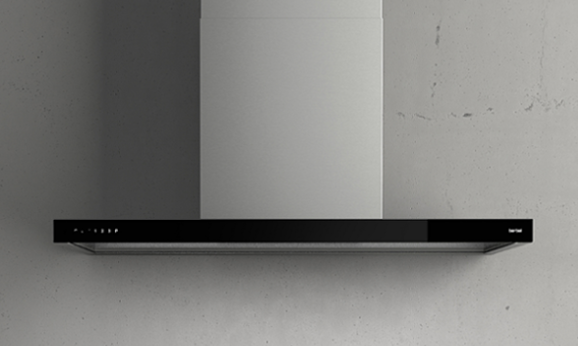 The smooth stainless steel surface means that cleaning will still be easy. A high-quality recirculation filter is a decisive factor for high odour trapping in recirculation mode. berbel recirculation filters have a particularly large volume and are filled with up to 4 kg of active carbon. This ensures an odour trapping efficiency of 97% (as per DIN EN 61591). This approaches the value of an extractor hood in exhaust air mode. The active carbon filters last for ages - around 2-3 years. Environmentally friendly berbel refill packs are available to replace active carbon that has become saturated. The filter housing is retained, and only the active carbon is replaced. This protects the environment and is kind on your household budget! For even more convenience, we recommend the regenerative permalyt® recirculation filter, which cleans itself by means of a thermal catalysis process and is certified by TÜV Rheinland with regard to its lifetime and lasting filter action. A berbel hood is made exclusively from the very best components. Modern EC fan motors by a leading German manufacturer, shatterproof glass, anti-magnetic stainless steel, long-lasting LEDs, and capacitive controls that even respond when touched by wet fingers. 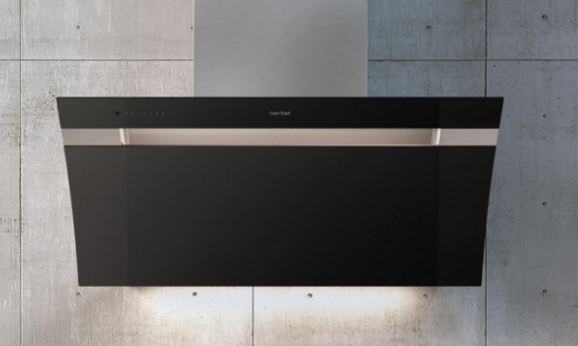 These made-in-Germany components are skilfully assembled by means of precise workmanship at our factory in Rheine to create berbel extractor hoods. We meet our quality standard every single day and are really proud to be able to offer a 5-year guarantee* on all our products. Blocked fat filters and deposits of fat in the pipes can be easily ignited. If there is a fire on your stove, traditional fat filters can act as accelerants. 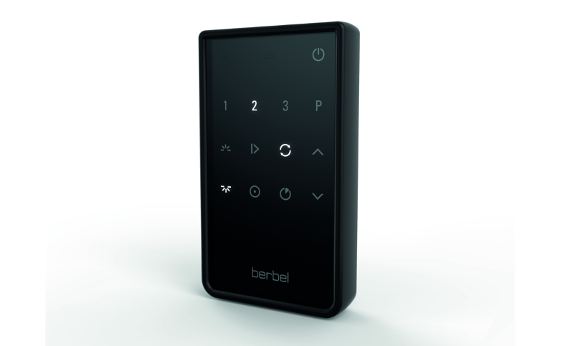 When it comes to fire safety, berbel plays it safe. Since conventional fat filters are not used, there is no risk of fire. In addition, berbel's hoods are made from non-flammable stainless steel. The exhaust air ducts are made from cadmium-free, impact-proof plastic that is self-extinguishing. Our products have been extensively checked by the Wilhelm-Jost-Institute and hhw Ingenieurgesellschaft. 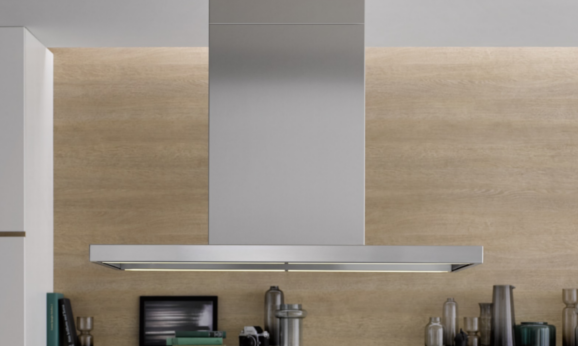 The result: berbel extractor hoods comply with the highest safety standards for private kitchens. Explore berbel’s selection of hoods. Find the perfect berbel hood for you.